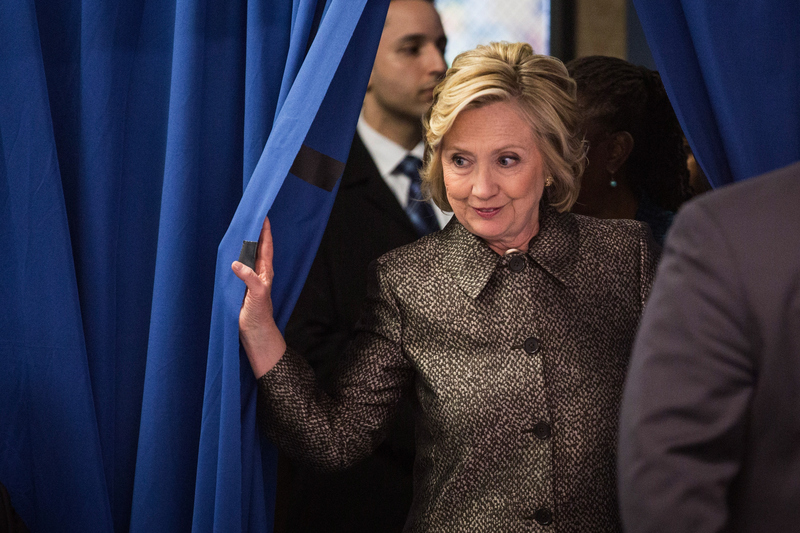 What Will Hillary Clinton Do Now, Since She's Finally Announced She's Running For President? In what was the least surprising announcement perhaps in the history of presidential announcements, Hillary Clinton on Sunday kicked off her 2016 bid for the White House. The launch has been a very long time coming, after Clinton lost her first attempt at the Democratic nomination to Barack Obama in 2008. She has a long to-do list ahead of her before she even holds a single campaign rally, but Clinton has likely been working on this campaign not just for a few months but for many years —maybe even as far back as Bill Clinton's nomination in 1992. No other Democrats have thrown their hats into the ring yet, and the party's most popular would-be candidate, Elizabeth Warren, has repeatedly stated she is not running for president in 2016. There is also strong evidence that despite the fact he will be 74 years old in 2016, Vice President Joe Biden may want to run for president again himself. He ran unsuccessful campaigns in 1988 and in 2008, but Biden does not appear to be in any great hurry to decide if he will run again, according to ABC News, saying only he would decide by the end of the summer. Given that Warren and Biden may be the only viable candidates who could challenge Clinton, it would seem she is the Democrats' heir apparent. Here are a few things she'll need to cross off that to-do list before too long. Clinton doesn't necessarily need to decide on a running mate just yet, but she's no doubt vetting candidates. Would Joe Biden want to keep his gig as veep? It seems unlikely that after eight years in the No. 2 job that he'd want another go. But he's well-liked and could help Clinton connect with Democratic voters who haven't warmed to her candidacy yet. Warren is a possibility, and what a bold move that would be, to have two women on the ticket. But if she's not interested in the presidency, it's not clear what would entice Warren to want to be vice president at this point. Sen. Kristen Gillibrand of New York and Sen. Cory Booker of New Jersey have both been mentioned as potential running mates for Clinton. It's curious however, as The Washington Post notes, that as Clinton has fought the email server scandal, very few Democrats have stepped up to defend her. Shouldn't a potential vice president already be campaigning for the job? Former President Bill Clinton has said he would be a backstage adviser to any campaign by his wife, The Guardian reported. He's arguably more popular among Democrats now than he was in the final months of his presidency, at least. Despite his reinventing himself as an elder statesman, if there's one person the GOP hates more than Hillary Clinton, it's Bill Clinton. And he carries a significant amount of baggage, not the least of which is his affair with Monica Lewinsky, who has received deserved attention herself of late, becoming a symbol of how to survive brutal public shaming. So whatever his role will be, Bill will need to be encouraged to stick to the script. With Republican candidates Ted Cruz and Rand Paul already official, and Jeb Bush, Scott Walker and Chris Christie all viable options for the party nomination, that field could get mighty crowded. And you can bet that whoever pursues the GOP nomination, every single one of them will spend significant resources trying to knock Clinton off her off her game, and will dredge up her missteps like the email server scandal or even the Benghazi controversy. Since she can't fight them all at once, the best course of action is likely to wait for the dust to settle after a few primaries and see who is emerging as the leader before campaigning against any one candidate. If Clinton can harness some of the early drive that Obama did during his first run, some of that "Yes We Can" passion, the campaign will get off to a quick start. But the road to the White House is long, and she'll need to be prepared for a marathon, not a sprint.